Frankly speaking, neither have I read any of our mythological epic nor have seen any of the movies related to the same. Whatever little I know about Ramayana and Mahabharata is what my Grandparents tell me in their stories. Ramayana, one of the most ancient epic of Hindu mythology, depicts ideology of relationships in all its form; it gives an approach to life. My Grand Maa once told me “ It’s not only a tale, but it’s a religious connotation, the story we live in every moment of our lives in one or the other forms – the victory of good over evil- triumph of Lord Rama over Ravana”. So, this is Lord Rama’s perception of Ramayana. I firmly believe that every story has three sides – Your side, My side and The Truth. And this notion got strengthened when I ended with the book Asura- Tale of the Vanquished by Anand Neelakantan. Though, we can’t have the real and the actual truth of the story because it’s been another era, another world but we do have Ramayana, the wonderful source that tells us the story from the eyes of people of Ayodhaya and Lord Rama. 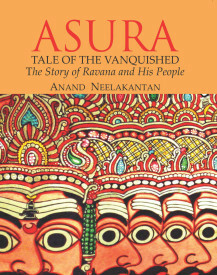 Asura, as quoted by the author is Ravayana- unfolding the other side of this story. Author has tried to curtain up the situations, incidents and the emotions that has remained silent since eras. Though, author writes it being in the world of fantasy and imagining the other side but there’s something that held me back and interested in the whole plot. There have been many approaches to have this aspect of story i.e. from Ravana’s vision but for me this work stands out as it has all the elements of good writing, narration and story- telling. This book tells the story from two persons- one from Ravana, other from a commoner of Lanka, Bhadra. For me, this set up of same story from two different identities (with varying emotions and thoughts) impressed the most. The story by Bhadra, a common man like us, is very much connective. Writing styles include straight, pin-pointed writing at times and also narrative styles at many places. These two writing styles provided an edge to the whole lot. Another appealing part to me was portraying of Ravana as normal man who has his both the sides – good and the bad. He is neither a learned Brahmin nor a powerful, horrifying demon in the book. He is someone who tells the story in his words with all the gravity that had remained wordless till now. Further, some incidents of Ramayana are such that people of any caste or religion know well or have heard in one or the other way like Origin of Sita, Rama winning Swaymvar, Sita Haran etc. These incidents have been put up in an incredible and logical manner by the author. To me, this proved highly effective. But, there are few incidents that are still a bit difficult for me to digest. Starting narration is a bit draggy and slow. Same goes towards the end. I found somewhere an overdose of narration and description. 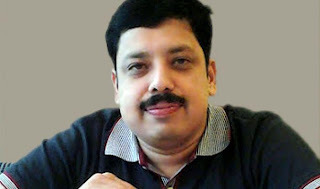 Other than these, a big congratulation to the author for penning down an appreciable and unique piece. Doesn’t matter if you are a mythological buff or not, Asura – Tale of Vanquished is a must read book as it holds an edge and a new topic to give a wave of thoughts in your mind. Not to forget, the cover page has interested me to much extent. Grab a copy and travel to an era, discover the not yet deciphered in a book of just 400+ pages. A girl at her teens, full of hopes and dreams.Studying Biotechnology in NIT Raipur. I don’t follow trends.My Belief – Neither I am best nor I wish to be the one, but for sure, I am not like the rest.Writing, prose, poetry, reading are my interests. Music resides in my soul. Have done Visharad (6-Years) course in Classical Music.I aim to achieve something worth in the challenging field of Biotechnology and make a small place in this world of writing.